Major advances in the ichthyosis with confetti (IWC) story were the result of a fortuitous intersection of people, timing and technology. Discovery of the mutant gene and identification of the cause of the spots in IWC was, in no small part, the result of asking the right question. While others had sought but failed to identify the cause of the red, scaly skin in IWC, we started by asking: what caused the distinctive spots of apparently normal skin? From that moment forward, FIRST played significant roles in this effort from start to finish. In 1998 I saw an infant who had uniformly scaly red skin and slow growth compared to his fraternal twin. He looked like an infant with typical congenital ichthyosiform erythroderma (CIE). He returned one year later with a single spot of normal-appearing white skin on his cheek and, in retrospect, became my personal introduction to ichthyosis with confetti. This form of ichthyosis was described first in 1982 in the French literature as ichtyose en confettis and later that year in the German literature as kongenitale retikuläre ichthyosiforme erythrodermie. By 1998 only two additional cases had been reported making it an exceedingly rare form of ichthyosis. Shortly after I saw that first case, two girls with apparent CIE and dozens of normal-appearing white spots, one from Texas and one from Maine, came to see me. One had been evaluated by many other dermatologists and scientists. She was Haley Rice, daughter of then-president of FIRST, Donna Rice. Donna had been instrumental in setting the stage for FIRST’s organizational stability and recent rapid growth. I admired her drive and determination, and appreciated the transformation that she and a few others had accomplished at FIRST. So when Mary Williams, a founder of FIRST who was attending the family conference with me in 2002, said “Len, you have to figure out what’s going on with Haley”, I knew at that moment, that this would become a long-term, personal mission. Several features of this rare form of ichthyosis caught my attention but had received little attention in the medical literature. One was the acquired confetti spots which became the focus that drove our work. Michele Mak, a resident in dermatology, carefully evaluated each of the three patients who had traveled to New Haven and had now also been able to connect with each other through FIRST. Together we tabulated the histories and clinical findings in our patients and those in the literature. Our three patients and most of the patients in the literature clearly had very similar clinical characteristics and an identical appearance under the microscope – important information when embarking on genetic studies. We carefully asked our patients about the confetti spots. All reported that they were not noticed until late in the first year of life and that the spots dramatically increased in size and number over time. Most remarkably, the spots were normal-appearing skin both by the naked eye and under the microscope. The story that the spots appeared after birth and increased in size and number over time suggested that they were not the usual kind of mosaicism familiar to dermatologists and pet lovers. Rather, we hypothesized that they must represent revertant mosaicism. Revertant mosaicism occurs by spontaneous correction of a mutant gene leading to acquired patches of normal skin, a process described only a few years earlier in the inherited, blistering skin disease epidermolysis bullosa. Our survey of patients who had been reported to have ichthyosis with confetti did not present a consistent picture. As often happens when starting a new project, one consults with colleagues and reads the literature. In the very first report of this condition the skin biopsies from each of the two patients were distinctly different. One of the patients was described as having coarse keratohyalin granules in the epidermis while the other was said to have absent or reduced keratohyalin granules. This suggested that there might be different types or causes of IWC. The second peculiarity was that all the reported cases and each of our three original cases were the only affected members of their families. This went along with early thoughts that these individuals had some form of recessively inherited CIE. However, Mary Williams knew of a family in which the affected mother had two affected sons and Donna Rice knew a family through FIRST in which there was an affected father and daughter. 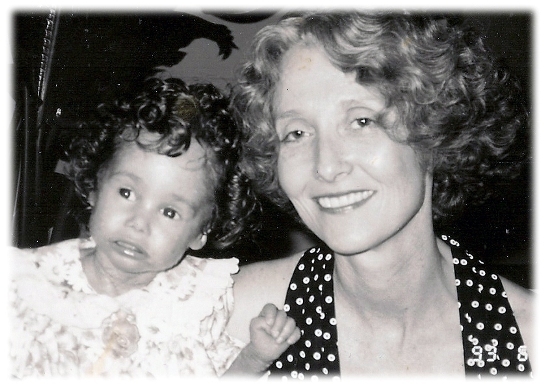 In talking with colleagues, we learned that because of possible dominant inheritance and because of certain features of the histopathology, several groups in the 1990s had looked for mutations in the half dozen genes known at that time to cause dominantly inherited ichthyosis, including several keratin genes, and had found no evidence of mutations in them. At about the time that I began collecting cases of IWC, the scientific community was beginning to use a new technology to map genes, high density SNP (single nucleotide polymorphism) arrays. One day I asked Keith Choate, a first year resident in dermatology whether he thought SNP arrays would facilitate finding the gene for this disease and whether it was a project in which he might be interested. Keith had already done research in ichthyosis as an undergraduate at Stanford and had gotten his PhD with Richard Lifton, chair of the genetics department at Yale. Though he was a busy resident and had not worked in skin science for eight years, he suggested we meet with Lifton. 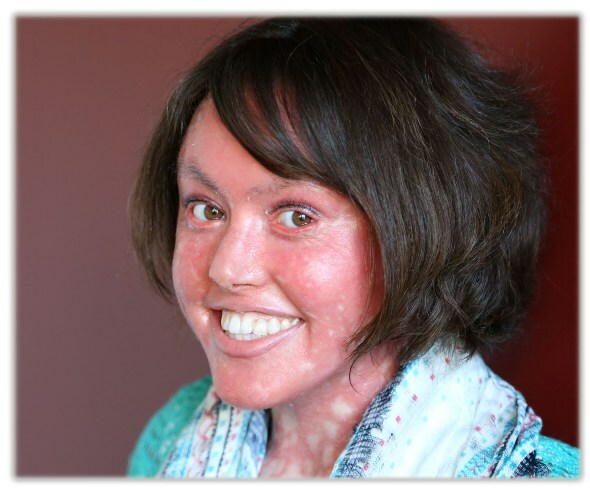 The information we presented at that meeting about IWC was concise: a rare, likely dominantly inherited form of ichthyosis in which normal spots of skin appear after birth and increase in number and size over time. With little hesitation, Rick suggested that loss of heterozygosity (LOH) was the simplest explanation for the normal spots, and that using SNP arrays to compare a confetti spot with an affected spot on the same individual should facilitate mapping the gene. The value of looking specifically at cells in the epidermis, rather than whole pieces of skin, became clear in the brief discussion that followed. Fortunately, there was a talented scientist in my lab, Jing Zhou, who could grow pure populations of keratinocytes and fibroblasts from tiny pieces of skin. In most genetic studies the focus is on what is happening in the diseased tissue. In ichthyosis with confetti, the focus became what is happening in the normal tissue. The timing of Keith Choate’s reentry into ichthyosis research was both fortuitous and critical. The importance of having patients who were willing to travel long distances to New Haven to donate skin from many red and white spots cannot be overemphasized. Within a few months of embarking on this project, Keith had a stunning result. He had used high density SNP arrays to compare DNA in keratinocytes from diseased skin to DNA in keratinocytes from normal-appearing confetti spots. In each of the confetti spots in each of our patients, he found long stretches of loss of heterozygosity on chromosome 17 that could have only occurred by a mechanism never before reported in revertant mosaicism – mitotic recombination. Other cultured cells from the confetti spots, namely fibroblasts, showed no such changes. LOH is a well-described cause of disease. Each cell generally has two distinct versions of each gene. Rarely, one version of the gene is normal and the other version is abnormal and potentially disease-causing. If the disease-causing gene is recessive, the activity of the normal gene predominates and cells appear normal. Loss of heterozygosity (LOH) is a process in which one version disappears, and there are several different mechanisms by which it can occur. If LOH results in loss of the normal copy, then the disease can become apparent. This is generally what happens when LOH is associated with cancer. By contrast in a dominantly inherited disease, such as we expected IWC to be, the effect of the abnormal version of the gene trumps the action of the normal copy and the cell has an abnormal appearance or behavior. If LOH leads to loss of the abnormal version of the gene, then the cell acquires a normal appearance or behavior because of the unimpeded presence of the normal copy. The mechanism by which LOH happened in the confetti spots was mitotic recombination, a process common in malignant cells but rarely described in non-malignant cells and unprecedented in the skin. What is mitotic recombination? Chromosomes come in pairs, and we inherit one chromosome from our mother and one from our father. Just before the egg and sperm from our parents come together, genetic material from the pairs of chromosomes our parents inherited from our grandparents intermix in a process called meiotic recombination. It assures we will inherit genes from all four of our grandparents. A similar process, called mitotic recombination, was well-described in cancer cells, but was thought to be very rare in non-cancerous cells. Mitotic recombination replaces the DNA in a portion of one chromosome with the DNA from its paired partner. Subsequently, those cells look like they inherited that portion of DNA from only one parent, and that change is readily detected on SNP arrays. Prior to our studies in IWC, mitotic recombination was an exceedingly rare event in non-cancerous cells. In the year following our initial observation we identified more patients with IWC, brought them to New Haven, and analyzed their epidermal keratinocytes. Every normal “confetti” spot in IWC proved to be an independent event of mitotic recombination. While every one of 32 analyzable white spots showed loss of heterozygosity on chromosome 17, the long stretch of LOH started at a different position on chromosome 17 for each individual spot. This meant that each confetti spot was an independent event that happened after the father’s sperm fertilized the mother’s egg. The different positions where the stretch of LOH started on chromosome 17 allowed us to predict where the gene for IWC would be found. Yet, after 2 1/2 years of carefully analyzing many, many “candidate” genes, the responsible gene remained a mystery. Sometimes stalled science is rescued by technology. For forty years, the gold standard for determining gene sequences was Sanger sequencing, a method for which Fredrick Sanger had received a Noble prize in 1980. It was the method used to reveal the first complete human genome sequence. As a result of the human genome project, Sanger sequencing had become faster, more reliable, cheaper and automated. Yet limits on all those improvements became obvious and, during the 1990s, totally new technologies that would be faster and cheaper were developed. Sanger sequencing also had one quirky limitation that had never been fully remedied; regions rich in guanine/cytosine base pairs were difficult to sequence reliably. Many of the new methods do not suffer from that quirk. After months of planning and discussion, Keith selected one of the new sequencing methods and devised several technical adaptations that made it useful for identifying disease-causing mutations. After years of uninformative Sanger sequencing, he identified the mutant gene in the very first family analyzed using this new approach. The mutation was in the gene for keratin 10, and in every one of our families the mutation appeared in a small region of the keratin 10 gene that was rich in guanine/cytosine (G/C) base pairs. Whereas one might expect 1/2 of base pairs in any region to be G/C, more than 70% of the base pairs in this region of keratin 10 are G/C. That is likely one of the reasons previous efforts to identify IWC mutations in keratin 10 were unsuccessful. Mutations in keratin 10 previously had been associated with one of the more common forms of ichthyosis, epidermolytic hyperkeratosis now known as epidermolytic ichthyosis (EI). But confetti spots have never been described in EI. In general, the mutations that cause EI occur in a different part of the keratin molecule than those that cause IWC. Patients with IWC have some skin features that resemble those in patients with EI, but lack other features common to EI. For example, keratins are generally thought to function mainly as structural proteins, preventing skin fragility associated with frictional trauma. Epidermolytic ichthyosis patients suffer from skin fragility or easy blistering but IWC patients do not. One of the last patients to enroll in our initial study helped us solve one of the inconsistencies in the literature that had troubled us: why were normal-appearing keratohyalin granules present in the diseased skin of the first French patient reported but absent in the diseased skin of the other patients – including all our patients who had IWC and KRT10 mutations? The new individual’s skin bore many similarities to the other IWC patients, but there were subtle clinical differences and the biopsy of affected skin showed abundant keratohyalin granules. Affected skin had no mutation in KRT10, but confetti spots from this individual did demonstrate LOH, but this time on chromosome 12. Chromosome 12 is where the KRT 1 gene resides. Further investigation resulted in the identification of a mutation in KRT1, the gene that codes for the protein that normally pairs with KRT10 to form the keratin filaments in the epidermis. Scientific breakthroughs should clearly and definitively answer the question at hand, but they also often raise even more difficult questions. In many ways, the IWC saga is one of those stories. Why don’t all patients with EI and KRT 10 (or KRT1) mutations develop white spots? Why has revertant mosaicism caused by mitotic recombination not been seen in other dominant disorders of keratinization? Is there something about the particular mutations in the keratin 10 or keratin 1 proteins in IWC that cause mitotic recombination to happen more frequently than expected? Or is mitotic recombination more common than previously appreciated but only reveals itself when the resulting cell has a growth advantage over its neighbors? Are there environmental or other factors that make epidermal keratinocytes especially prone to mitotic recombination or does it happen in all dividing cells? These broad questions and the novelty of the mechanism by which the confetti spots arise generate excitement in the scientific community and explain, in part, why this particular gene discovery was thought to merit publication in high profile journals . The new questions raised will keep us going for many years. 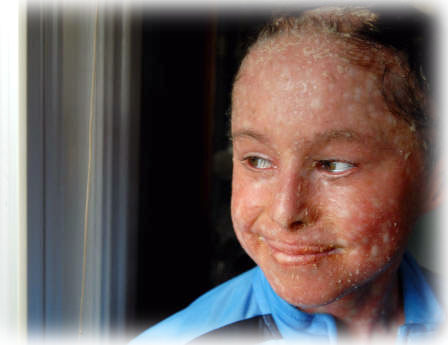 Keith Choate was the first recipient FIRST’s Ichthyosis Fellowship. Support for that award came from a fortuitous donation from the Lennox Foundation at a time when it was most needed. 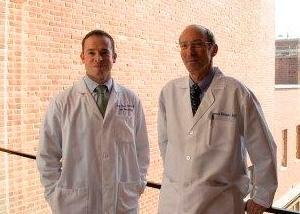 It provided Dr. Choate with protected time to concentrate on this research early in his career. Many other people contributed to this work. Several are members of FIRST’s MSAB: Mary Williams, Peter Elias, Amy Paller, Amy Knopper, and Alanna Bree. We received advice and encouragement from many other colleagues along the way. The patients (HR, RS, SG, TS, JB-S, AB, PI and TF) are all members of FIRST. They and their families are an ongoing source of inspiration and support to these investigations, and to whom no words of thanks adequately express our appreciation. Camenzind M et al. (1984) Ichythose en confettis. Ann. Dermatol. Venerol. 111:675-676. Marghescu S. et al. (1984) Congenital reticular ichthyosiform erythroderma. Hautarzt. 35:522-9. Choate KA, et al. (2010) Mitotic Recombination in Patients with Ichthyosis Causes Reversion of Dominant Mutations in KRT10. Science 330: 94-97. Choate KA, et al. (2015) Frequent somatic reversion of KRT1 mutations in ichthyosis with confetti, J Clin Invest, 125:1703-1707. Choate KA and Milstone LM (2015) Phenotypic expansion in ichthyosis with confetti. JAMA Dermatol. 151:15-16.